Mines’ Eye is a site specific installation created by Zhiwan Cheung using security cameras, motors, a PlayStation®Eye camera, and custom software. The mind’s eye refers to the human ability to “gaze” with the mind. The syntactical shift in the title from the “mind’s” to “mines’ ” reflects the breakdown of the personal mind to that of many, especially as the world increasingly becomes interconnected. Mines’ Eye seeks out to explore issues of the unequal gaze in juxtaposition to a meditative spa soundtrack. 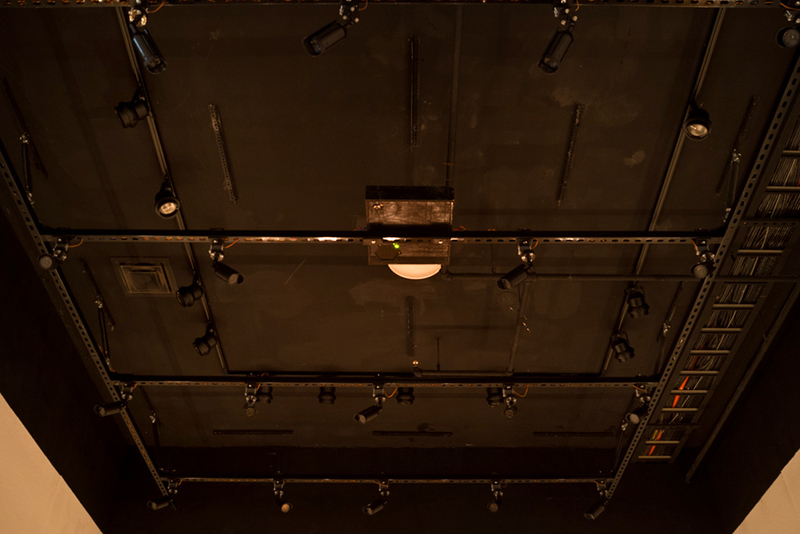 A grid of cameras installed on the ceiling followed the movement of the viewers below. 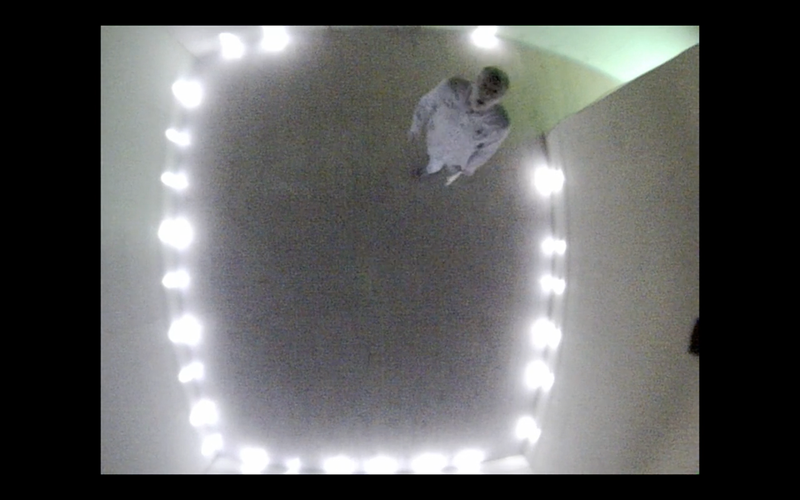 At the same time, home safety lights installed every two feet illuminated the floor, generating a contrasting feeling of security on the ground and nervous ticking cameras above. Mines’ Eye was supported by a microgrant from the Frank-Ratchye Fund for Art @ the Frontier (FRFAF)— an endowment founded to encourage the creation of innovative artworks by the faculty, students and staff of Carnegie Mellon University. With this fund, the STUDIO seeks to develop a cache of groundbreaking projects created at CMU — works that can be described as “thinking at the edges” of the intersection of disciplines. Zhiwan Cheung is an MFA student in sculpture and Carnegie Mellon University.